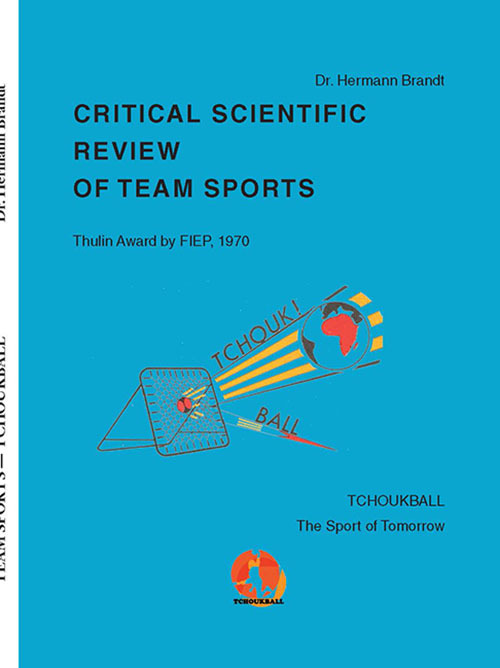 “Critical Scientific Review of Team Sports” by Dr. Hermann Brandt, English version, is under press, and is already available for purchase. Following the hard work of the editor in chief, the manuscript has been sent to the printer. The book includes 217 pages, with diagrams of drills, pictures, as well as the social and educational values of Tchoukball. 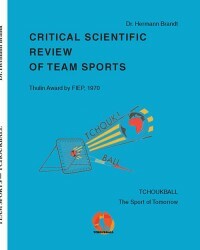 Dr. Hermann Brandt also compared football (soccer), handball, basketball, volleyball, and tennis with the uniqueness of Tchoukball set. This book is the basis of Tchoukball, and it can be said that Tchoukball was the first sport invented on a scientific basis. Dr. Hermann Brandt was convinced that Physical Education and physical activities training should always include and train the whole aspects of a Human Being such as the psychological, physical, and social aspects. His researches and discoveries on Tchoukball are well described in this book. Coaches, Physical Education Teachers, and everyone who is interested in discovering why, and the purpose of creating this game should read this book.